Enjoy the beach. Offers from €500 pp! Relax and forget your problems. Book a hotel with us to Vilamoura. Special offers from € 300 pp. Celebrate your life in this wonderful place. Offers from €350 pp. 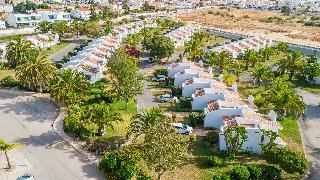 The apartments are located only about 50 m from Altura beach. The exit from the motorway is around 2.5 km from the hotel. Guests will find restaurants, bars, shops, and a bus stop in the immediate vicinity of the hotel. The village of Altura is some 9.. 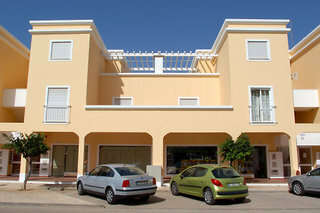 Situated just 300 m from the beach, close to the golf courses and to the popular Vilamoura Marina. The Alvaflor complex has a reception desk, safe deposit boxes, money exchange, elevator and a small shop. The apartments have air conditioning, bathroom/shower,.. The tourist complex, Alvor Mar offers 50 apartments with fully equipped kitchen, sea view terrace, air conditioning and wireless Internet access. Facilities include outdoor pool, bar, library & garden. A family-run apartment complex. The Alvormar Apartments is a small family-run complex located in the village centre, handy for local shops and restaurants. Set on a slight hill, the apartments are well-equipped and are just 750 meters from Alvor s beautiful.. Enjoy a fabulous family holiday exploring Algarve by booking the Alvormar Apartments in Portugal. The Alvormar Apartments are conveniently located in the village of Alvor, situated in a sheltered estuary. The Alvormar sits on a slight hill just 750 metres.. This motel is located just 700 m from beautiful Porto de Mós Beach, approximately 1.5 km from the historical centre of Lagos. Restaurants and bars lie within walking distance and it is just a short distance to links to the public transport network. Nightclubs..
Apartments 700 m from the beach. Ancora Park is about 700 m away from the beach of Porto de Mos and approximately 1,5 km from the historical centre of Lagos. The airport of Faro is about 80 km of the complex. The resort facilities include pool, lounge.. In one of Europe's largest beach resort developments, filled from end-to-end with luxury hotels and villas, budget travel seems unrealistic. Yet Algamar Apartments in Vilamoura, Portugal proves this assumption wrong with its combination of an accessible.. The Algarve Gardens Apartments is set in large gardens with pine trees located 200 metres from a sandy beach and 13 kilometres from the town of Albufeira. The 143 studios and bungalows have simple traditional decor and furnishings and balconies or terraces..